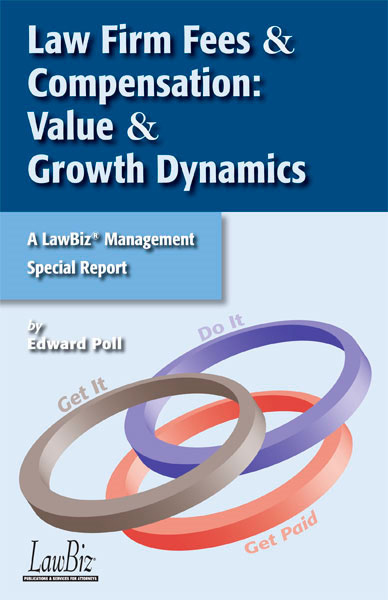 "Ed Poll's new report is a must-read for all lawyers. It covers everything from alternatives to the billable hour and clients' perceptions of value, to associate compensation, fee-splitting, collections, and trust accounts, all in one easy-to-read volume. 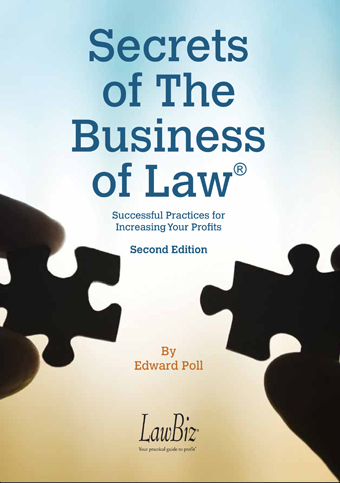 This report is right in line with Poll's emphasis on the business aspects of practicing law and is a comprehensive reference that lawyers are sure to return to again and again." "We hear plenty of talk about the demise of the billable hour, but little substantive discussion about what method ought to replace it. Sure, there's mention of alternatives like flat fee billing, hybrids and "value billing," you don't always find much "there there." Plus, many non-lawyer advocates of value billing fail to account for our professional obligation to ensure that our fees are reasonable. That's one reason why I've always been a fan of Ed Poll – he's actually familiar with the code of professional responsibility and when he gives advice on fees, you can be confident that it will pass muster. 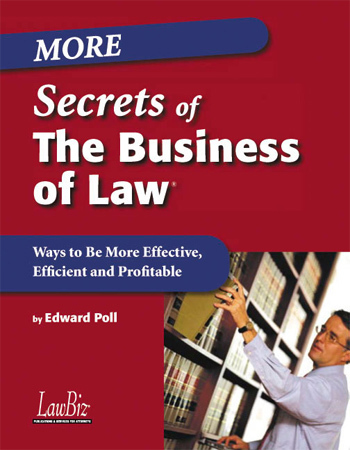 He's also big on substance, and his recent book (which I previewed), Law Firm Fees and Compensation, offers a detailed discussion on setting fees using a variety of methodologies. Poll also discusses retainer agreements, trust accounts and collecting fees. 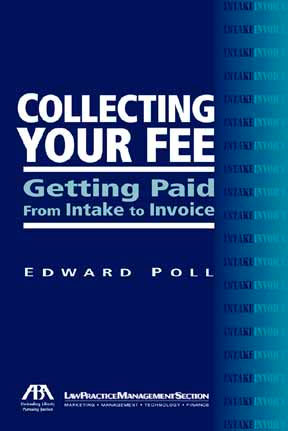 In short, he fully discusses the only two questions that matter when it comes to fees: How much should I charge, and how do I get paid? While the book does include some material suitable for larger firms, at least 85 percent of it is relevant to solo and small firm practitioners – and offers information that I've not seen elsewhere in such detail. In short, it's a recommended read."